What is BlackBerry planning next? We heard recently that BlackBerry had agreed a deal with device manufacturer Foxconn to produce the next wave of BB smartphones - and the Taiwanese firm's first attempt has just been spotted online. Foxconn is best known for manufacturing the iPhone but it is a company that is fast expanding its handset repertoire. 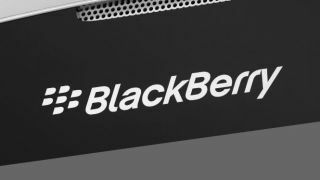 Details of the STJ100-1 appeared on the Bluetooth SIG website, revealing a handset running BlackBerry 10.2, but it wasn't listed as being made by the Canadian firm. Instead the website notes that the handset is instead built by FIH CO LTD - which is an abbreviation of Foxconn International Holdings. There is precious little information on the handset other than its creator and operating system, but this could well be the rumoured 'BlackBerry Jakarta' handset. The Jakarta has been heavily tipped for a reveal at MWC 2014 in Barcelona, and TechRadar will be in attendance to bring you any news from Foxconn and BlackBerry.